If you are a Harry Potter fan you probably already know that Universal Orlando Resort has not one, but two lands dedicated to Harry Potter. And now Hagrid invites you to fly with him on his motorcycle far beyond the grounds of Hogwarts castle on a thrilling roller coaster ride that plunges into the paths of some of the wizarding world’s rarest magical creatures. 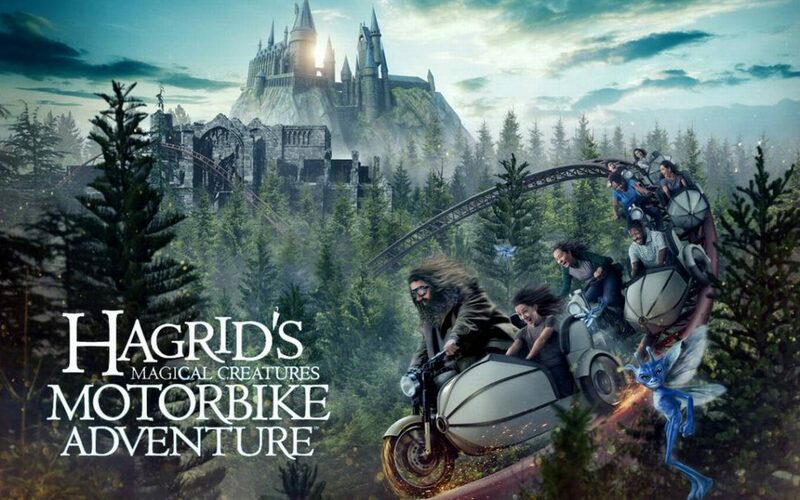 Hagrid’s Magical Creatures Motorbike Adventure, Universal Orlando Resort opens the new attraction June 13, 2019 at The Wizarding World of Harry Potter – Hogsmeade. 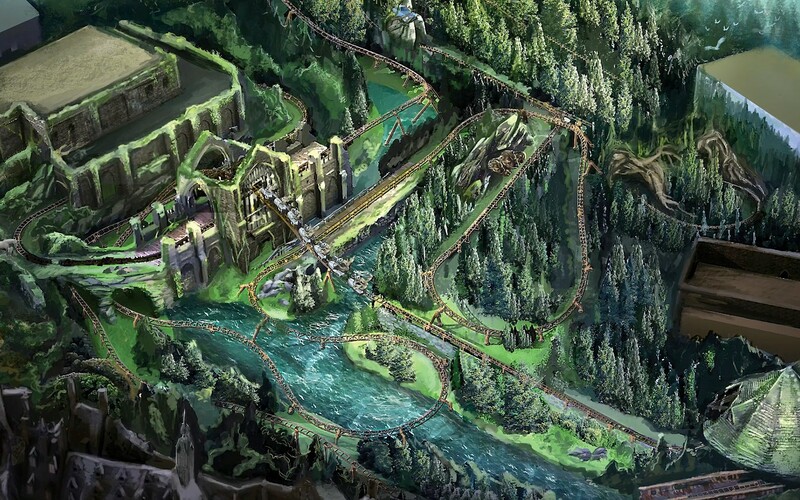 Universal Orlando Blog today gave an exciting update about the new Hagrid attraction opening in June. You will join Hagrid’s Care of Magical Creatures class and board magical motorbikes specially designed to make you feel the freedom of flight. For this journey, you will can either ride the motorcycle or board the adjacent sidecar, providing two unique experiences. It sounds like I am going to need to ride at least twice. For the first time, fans will soar through the Forbidden Forest and come face-to-face with some of the wizarding world’s rarest magical creatures… but as often the case with Hagrid, things don’t go as planned. – This new experience combines a new level of storytelling and innovative coaster technology with rich environments and sets – including an actual forest with 1,200 live trees! – Guests will hurl past challenging obstacles, drop into an endless pit of Devil’s Snare and so much more …while encountering a few surprises along the way. – You will encounter some of the wizarding world’s rarest magical creatures, such as a majestic Centaur; a swarm of mischievous Cornish Pixies; Fluffy the three-headed dog; and even one that’s never been seen in the films. – You will experience a freewheeling coaster flight where you will twist, turn and rush forward – and backward – at speeds of up to 50 mph into the dark forest.